4.5cm fossil on a 6.5cm x 5cm substrate. A bony fish from family Clupeidae 35 – 55 million years old. 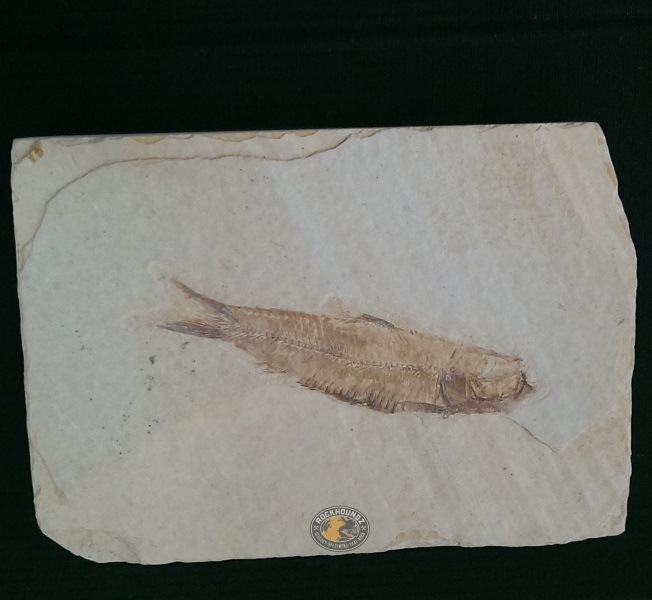 A small schooling fish from the Eocene that was a food source for many other fish. Knightia was a freshwater species that fed on small organisms like algae and diatoms. The species is now extinct but resembled the modern herring. The substrate is a very fine, soft, calcite bearing shale. Lovely display specimen for the classroom or for teaching. Comes with a display stand. The specimen can be handled by students without damaging the fossil if it is handled with care.